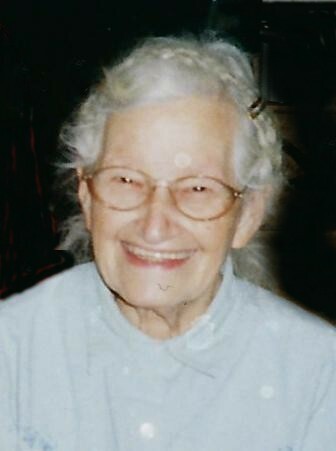 Ruth Norma Sitko, 97 years of age, passed away Wednesday April 3, 2019 at her residence. Born in Cleveland, Ohio on December 13, 1921, she was the daughter of the late Curt and Wilhelmena (Apel) Meichsner. She grew up in Cleveland and was a graduate of Lincoln High School. During World War she was employed as “ Rosie the Riveter “ at the Old Bomber Plant, which is now the IX Center, working on B-29 bomber’s. A longtime resident of Hiram, she was a member of Christ Lutheran Church in Mantua. Mrs. Sitko loved gardening, sewing, and her German heritage made her especially good at making homemade bread and pies. She is survived by her children Steven (Jamie) Sitko and John Sitko, both of Hiram, Maureen (James) Ballentine of Mantua, and Ellen Pridemore of Garrettsville. She was the loving grandmother of 7 and great-grandmother of 5. She was preceded in death in 2008 by her husband Steve D. Sitko, and also by a sister Emma Spencer. Funeral services will be Monday April 8, 2019, 11:00 A.M. at Christ Lutheran Church, 10827 Main Street, Mantua, Ohio 44255, where visitation will take place from 10:00 A.M. until service time. Officiating will be Pastor Dan Esala. Final resting place will follow at Fairview Cemetery, Hiram, Ohio. Arrangements are by the Green Family Funeral Home & Crematory Service in Mantua, where condolences and memories may be viewed at www.greenfamilyfuneralhome.com.